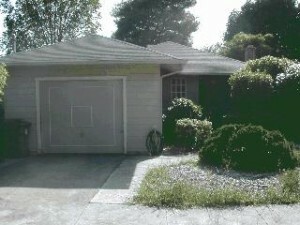 SOLD 3/24/06 Peaceful, charming & well-maintained bungalow. Refinished hardwood throughout. New kitchen & bath lino. Freshly painted inside & out. Inside laundry room, quiet backyard. Castro Park across the street features recreation & picnic areas. Clear Section I Pest.